In the last twelve months Council has worked on a number of activities. Four tele-meetings of the Council and one face-to-face meeting (Bilbao, just before the annual conference) were carried out in the period. The planned face-to-face meeting that was intended to be held in Brussels was not possible due to very busy schedules of the council members. The Council has informed the RESER members about its activities via the website and the minutes. Mailing lists and databases were updated again this year, and most information flows were restricted just to associates with their association fees regularized. A digest version of minutes is regularly updated on the website, while more comprehensive versions are sent periodically to registered members. RESER website has been assumed as the main repository of information of RESER and its main channel of circulation of information amongst members and with broader services research community. Consequently it has been very actively updated by our Webmaster prof. Marie Christine Monnoyer and used as main communication tool to members (in parallel to other resources such as mailing lists and digital social media). More active response of RESER members and their provision of relevant news to feed the website are very welcome and would benefit all members. In September 2017 the RESER was composed of approximately 180 individual members and three institutional members. In 2015, Mondragon Innovation and Knowledge (from Basque Country, Spain), joined Fraunhofer IAO (from Germany), VTT Technical Research Centre (from Finland), as the third RESER institutional member. The conference in September 2016 was very successful and the team had put up a highly interesting program with not only academic session, but also tracks in collaboration with industry. The outcome has been the proceedings and various publication outlets. a) Collaboration with the organization of the 2017 annual conference, in Bilbao. The council actively collaborated with the local organizing committee in Bilbao and Estibaliz Hernandez has been on the council as the local represent. The council was involved in the suggestion of keynote speakers and thematic sessions, as well in the support to the organization of practical issues, both related to the conference itself and the publishing opportunities. The relation with practice and the promotion of conversation between practitioners and researchers was assumed as one of the priorities of the conference. As in precedent years, RESER council and the organization of the conference worked together in order to assume the conference a special floor to increase the cooperation strategy with other institutions and services networks, and to increase the visibility of RESER. In this sense, it was possible to have again a REDLAS special session/track, centred on the issue of services in Latin America and developing countries. As it was difficult to have direct support from the organization of the conference this year due to financil constraints, improved support was given by RESER council to this. Two grants (2 RESER founders award for best paper) for supporting PhD students (500+300 euros) were available for the conference, as in precedent year. This includes the participants in the Docoral Coloquium, which took place in parallel with the conference. Papers with just one author (the student, without the superviser) were elegible. A discussion was on the possibility to extend the award to a PhD student with a co-author. A small sellection committee composed by 3 council members, Marie Christine Monnoyer, Maria Savona and Gisela di Meglio, analysed the proposals and the annoucement of the winners is made at the conference dinner. The PhD colloquium, held in parallel to the conference. PhD Course was designed to take place during the day immediately precedent to the conference. A permanent discussion on the model, schedule and related funding issues about the PhD Colloquium was held throughout the year, as several contingencies were occurring. The council found important that the PhD colloquium should keep the characteristic of having no fees for the participants. Council decided if needed to support this year’s organization with an amount of 1000 Euros in order to cover some small expenses (coffee breaks, etc). After an ongoing monitoring of the level of demand of the course, an analysis was made defining a reasonable minimum number of participants in order to keep financial equilibrium and a pedagogical and scientific level of quality, essential to attract the students in the long term (assuming a minimum number of 10 students for the realization of the colloquium). The discussion on this will be followed for further editions, considering such number is also important to improve the number of participants in the conference, each year. The local conference organization and the council has initiated the possibility for publication. The development of alternatives, include trying to find a pallet of 3-4 journals in different disciplines, different countries (Anglo-Saxon, French, Latin America), different knowledge areas, in the scope of RESER interests, which would be open to accept special issues, not necessarily in an annual basis, or the publication of a RESER book series with a established international publisher, for instance, were discussed. The opportunity of having a pre-selection of papers in each conference, around specific thematic lines by conference organizers or other members would be interesting to be explored, even if on an occasional basis, for specific themes or episodic special editions. Collaboration of all RESER members would be appreciated on this. The link to the RESER brand (by the authors themselves, and by those special editions), could be further explored, as well as the possibility of linking the journals at the webpage, provide information in RESER’s webpage, and enhancing a symbiotic relation in terms of visibility for each part. 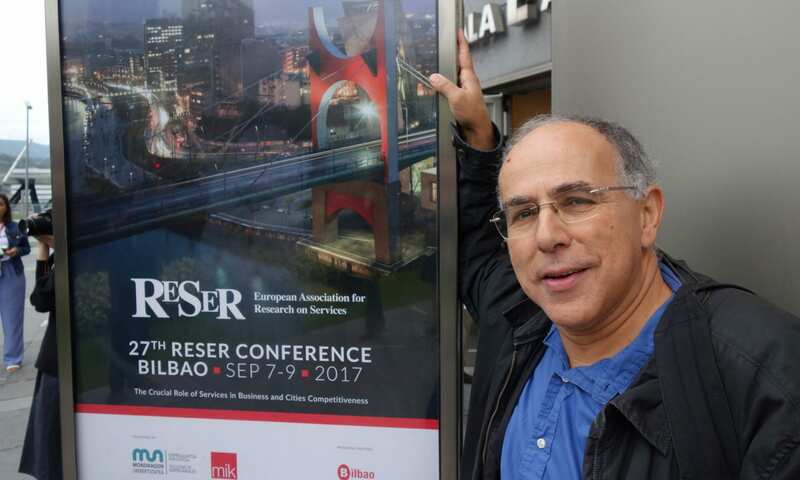 There is also the possibility of having special issues (more or less related to the conferences) launched by RESER members in different Journals (as individual researchers, more than RESER as organization), in parallel to a more comprehensive approach to each conference (for instance, in a book format). The two approaches could be complementary: the book as a continuation of precedent strategy (providing long term RESER publication as brand), and special issues in exploring new opportunities and specific sub-fields. The book can be crucial to keep the importance of cross disciplinary research that marks RESER. There is an ongoing discussion with Edward Elgar about a series connected to the conference and RESER. Publication of proceedings/ and availability on RESER webpage. Naples proceedings will be available online. There is a possibility of preparing a book with Edward Elgar. It is a more broad possibility, to have a book each year, stablishing a “RESER book series”. In the sequence of the decision of the GA, RESER had available in the budget for 2017 (such as in precedent years), 3000 euros for the PhD Mobility Grant and 5000 euros for the Small Research Grant (besides 800 for Founders Award, for best doctoral student’s papers in the conferences). Concerning the PhD Mobility grant, it has been launched as a way of enhancing cooperation, networking and mobility in line with the goals of RESER. The idea was to support the possibility for PhD student mobility among the different research environments. The support should enable shorter or longer stays at a partner university within the RESER network. This could cover cost up to 3000 Euro. A call should be launched during the autumn, after the annual conference. Concerning the small research budget, it has been traditionally designed to support research initiatives that include at least three different research environments. In total, the application could cover costs up to 5000 Euro and if possible be connected to a mobility grant. The council has been discussing the possibility of having more flexible timeline for sending in application on a running basis. No research grant was given during 2017. The council needs to further work on the grant strategy and awareness. A more flexible instrument was proposed in which a Small Research Grant for a small research project could include (or be articulated with) the circulation of a Phd student. This would imply a set of general requirements (to be available to all institutions that are RESER members; Minimum of 2 teams, 1 PHD student; Funding: 5000+3000 euros; Within these limit, proposals can be very flexible – e.g, 1, 2, 3 students, 1 month, 15 days, etc. ), and specific requirements (need to have a research proposal; need to present a paper at the RESER conference; need to have a small report, at the end, available in the website, possibility of organizing a specific session within the next RESER conference). A draft of new regulation is being developed by council members. The deepening of the relation with REDLAS (The Latin American and Caribbean Network on Services Research) was pursued, as stablished in the last GA. The collaboration of RESER with REDLAS is reported as being a positive experience with high potential in the future. Maria Savona continued developing her function as “bridge” between the two associations, working with a REDLAS startup group, in a systematical way, in line with RESER action plan (improving aims such as mobility and research cooperation). A REDLAS track was included in the organization of Bilbao conference through a track. The Council maintains a support fund for REDLAS participants, which should be managed by the association, of one thousand euros, and have also decided to support the registration of 2 to 4 REDLAS members in the conference. REDLAS conference 2017 will take place in San Jose (Cost Rica), September 21-22. If needed the RESER council is committed to support the conference. Following the GA recommendations on the need to improve visibility of RESER, engaging more with other areas of society, and organizing sessions of dissemination in other conferences, etc., several initiatives were developed. The council has also discussed how to interact more with other organizations such as the EU. This relationship should be reinforced with the new Commission. This is a relationship that will further be explored in the coming year. RESER has also been engaged in discussion with CEN/CENELEC on taking part in the work on standardization of services within Europe. This has been initiated by the European Business Services Roundtable. Suggestions for improving relations with other service networks have been discussed by the council, in the sequence of GA recommendations. The possibility of setting up RESER sessions at other association conferences was discussed and some suggestions put forward. Organizing other Special Sessions in our conference in the future is also a possible way to interact with other organizations. During the year RESER has been able to be part of sessions at the AAG meeting in Boston, with a session on the Services in the Green Economy. A special session was also held within the Conference on Serviceology in Vienna. RESER webpage have been actively used and updated, all through the year. The main challenge now is to have a continuous flow of information from the members, in order to keep the webpage updated and attractive to visitors. Several improvements were achieved, mostly with PhD´s students’ information (providing monthly profiles of diverse PhD students and information about their thesis), but there is the need of more information, particularly showing the regular activity of members. Other challenge is to stablish again more efficient and quick links to conference papers after each conference, overcoming the difficulties stablished by journal publishers during publication process. This is an important concern as the availability of papers is useful for both students and researchers (even if temporary, previous to the publication of the same paper in a journal or book). The council has initiated work on the possibility to move the website into a new system. This work is headed by Alexander Schletz. This work has been completed during the year and the new website is ready to be launched. Alexander will also take over as the webmaster after Marie-Christine Monnoyer. The work with social media is headed by Luna Leoni and the council has discussed how to make this work more integrated into the long-term strategy. All RESER members are encouraged to submit information to the Council that they want to publish on the web. With the extensive database on member teams the RESER website is a platform that enables members to connect with other members more easily when building teams for projects or looking for partners for developing other ways of cooperation. Information should be sent to website manager (marie-christine.monnoyer@univ-tlse1.fr) or posted at RESER LinkedIn Group. Jose Luis Navarro has been the RESER treasurer and has helped the organization to enhance the efficiency of financial issues. The financial situation of RESER is presented in the accounting report. Apart from increasing individual membership the council is also committed to increase the number of institutional members. The council analysed and accepted the proposal received from a team from Göteborg, (Sweden) for the organization of 2018 conference. The proposal of date is 20-22 September. RESER will offer to local organizer proponents’ support in terms of articulation with 2017 Conference Organizing Team and all council activity. The council has also started thinking on 2019 Conference, and some potential possibilities are being explored. Potential candidates are welcome to contact the council for consideration. This is a need for strategic plans for the future. Common research projects (particularly based on EU funding) will be an interesting opportunity for RESER to deep its role in services research. RESER competitive advantages as a long-term stablished and broadly internationally disseminated network were brought up and considered as an important asset to explore. Individual initiative in the mobilization of partners and the development of proposals seem to be a determinant aspect which should be worked out. A number of the current council members will leave this year. New members will be elected at the 2017 General Assembly.